EXCLUSIVE AT NET-A-PORTER.COM. The Lazy Poet is one of the few brands chosen to design a special capsule as part of our Colombian Collective initiative. 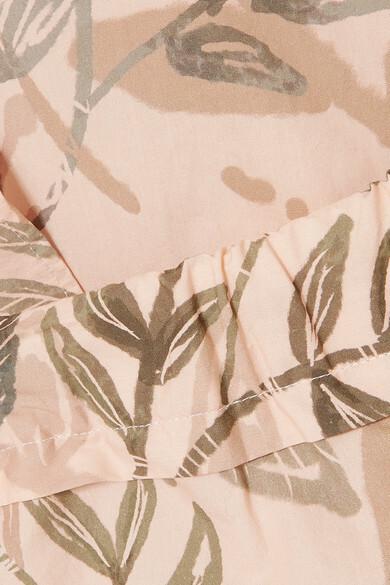 These pajamas are made from natural cotton that's really breathable and printed with muted tropical leaves. 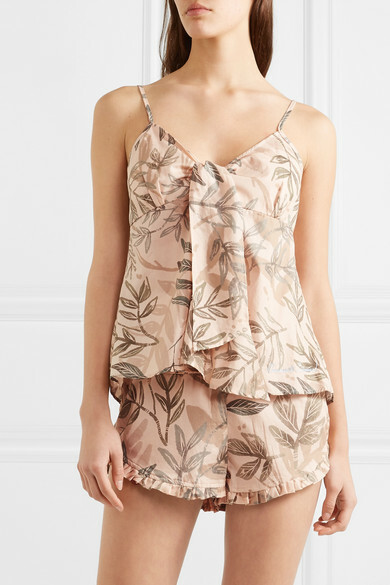 The top has a thin straps and a ruffled panel and the shorts are elasticated at the waist.